This is the Moon 5000 metres spool. I don’t know what’s more scary – starting a new spool – they are HUGE – or getting to the end and realising how much I have used. I buy small spools of coloured threads for the top stitching on the collars and leads – but I use one dark grey and one light beige megga spools for all the interior seams on toys, accessories and tops. It means that I don’t have to keep changing colour spools every 10 minutes. I suppose it’s my fault for working with so many lovely bright colours – this way I have found that I can get a rytham going. 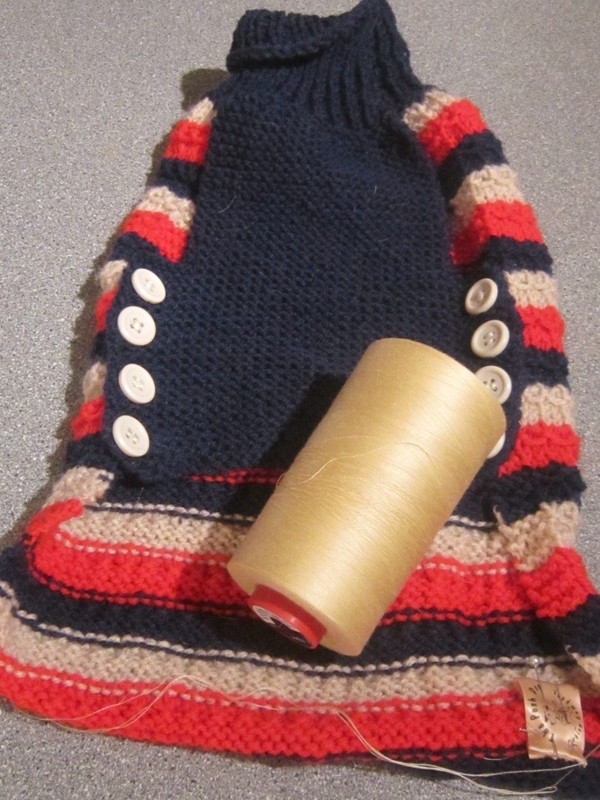 Guess it’s old age – can’t see the needle to thread it!